A fresh scent welcomes guests to your home, raising the comfort level and creating a pleasant experience. When whiffs of unsettling aromas waft through your rooms, it can turn your stomach and turn away visitors. If you are assaulted by stale air or cloying, musty scents as you enter your home, there are a few home remedies you can create to quickly find and fix the foul odors. Making home remedies for odors in the house is an easy endeavor, depending on the scent and its origin. Home remedies for musty smells in homes range from fruity to floral and everywhere in between. Many people find the strong scents of commercial cleaners, air fresheners and deodorizers to be overwhelming, or they may be allergic. Homemade odor removers are efficient and nontoxic. It can be hard to figure out from where the unwanted aroma is originating. Food smells more than likely come from the refrigerator, trash can and countertop bowls of veggies and fruit. The pantry can also hold unwelcome scents with forgotten breads or starches gathering mold or mildew. Urine smells can emanate from the carpet or a bathroom with bad ventilation. Pet smells require a different approach than heavy food aromas or stale odors that waft throughout a home. A good household odor remover works quickly without damaging furniture, clothing, carpeting, window treatments or other items that pull in putrid smells. A vinegar-based odor remover can lift up a home's scent rather quickly. 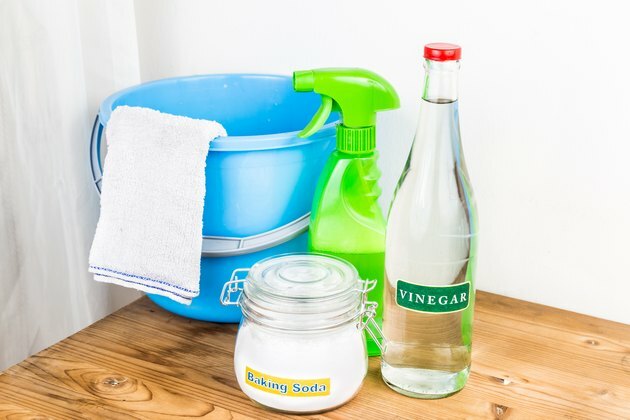 A small bowl of vinegar left out overnight in a small, closed room can remove odors effortlessly. Vinegar is a natural deodorizer. It can pull up old pet stains stuck in the fibers of rugs and carpeting. 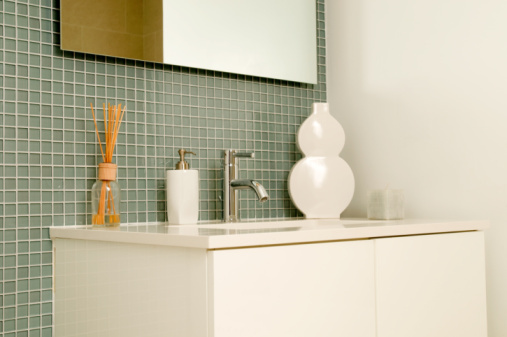 It can take down a musty smell in a bathroom or brighten windows and mirrors while removing odors. A gallon of baking soda-infused warm water with a few drops of dishwashing liquid will clean and deodorize the hard surfaces in your home that can collect odors. It is gentle enough to be used on nearly any material without adversely affecting the surface and is strong enough to remove layers of dirt and odors. The mix can be applied with a sponge or put into a spray bottle and spritzed on vertical surfaces. Have plenty of clean towels to rub down the area after rinsing the solution from the surface with clean warm water. Rubbing alcohol is ideal for upholstery, curtains, carpeting and other soft surfaces in the home. It evaporates quickly and won't leave behind wet areas that can attract bacteria or mildew that can spread. The benefits of using this recipe is that it is safe to use around soft surfaces and won't harm upholstery or carpeting. To take away deep-rooted aromas from a house, a hydrogen peroxide-based homemade odor remover can work wonders. Mix this together in a brown or dark-colored spray bottle. It will keep for a week if kept out of direct sunlight. The hydrogen peroxide will pull up stains on upholstery and carpeting as well as deodorize a room. Placed in the right spot, charcoal briquettes absorb odors before they can spread to other rooms in the home. Charcoal briquettes arranged in a layer in a pretty, nonporous tray covered with stones or colored glass will look attractive while the briquettes pull in odors that collect in damp areas, bathrooms or around cooking stations. A few natural charcoal briquettes in a bowl in the refrigerator will keep odors from building up in the appliance. The home is full of soft surfaces. Carpeting, upholstery, wallpaper and other fiber surfaces can pull in and hold onto aromas that regularly waft through the house. The main culprits of musty or odiferous scents are those we create by simply going about our everyday business. Cooking – Fish, fried foods and cruciferous vegetables linger long after the burner has been turned down and the dish served deliciously warm. Mold and mildew – If you have a whiff of mold, you should do some quick investigating before a serious issue arises. The tiniest of cracks in a foundation, water that seeps in through uneven window sills or water that has found its way into a crawl space in unusual amounts can create mold and mildew problems. * Spills and stains – Forgotten spills of dairy products, citrus juices or other liquids that have been left to fester in fibers of carpets and upholstery can lead to lingering odors. Musty odors – HVAC systems that have not been properly cleaned can send musty smells through a home each time they circulate air. Low ventilation can contribute to musty smells gathering in the rooms of your home. Throw open the windows about once a week to air out rooms of all the odors that can build up over time. Foul food odors – The refrigerator can hold rotten food smells even after the offending item has been removed. Not only does it need a serious washing on the inside, but the seals and water pan underneath the fridge need attention with a nontoxic cleaner as well. Odors can get trapped in the soft plastic of the accordion-like seals that rim the doors of the hulking appliance. Pet odors may need some investigation. If you can't locate the source of a urine odor in your home, a blacklight can reveal missed or unknown piddle places. Outline the entire area with a dye-free chalk or other removable marker so you can easily find it when you switch on the lights. There are many ways to remove old pet stains. Vinegar is most likely the best first defense. It will pull up the stain and remove the odor. Douse the area well with straight vinegar and let it sit for 15 minutes before blotting. Sprinkle baking soda over the vinegar for stubborn stains and vacuum it up after 15 to 30 minutes. The rubbing alcohol mixture mentioned above can be used for areas where you may worry about the carpet getting too damp, such as in a basement or enclosed bathroom with low ventilation.